Monster Hunter – Blood Trails – A Vampire Story set in Aberystwyth! 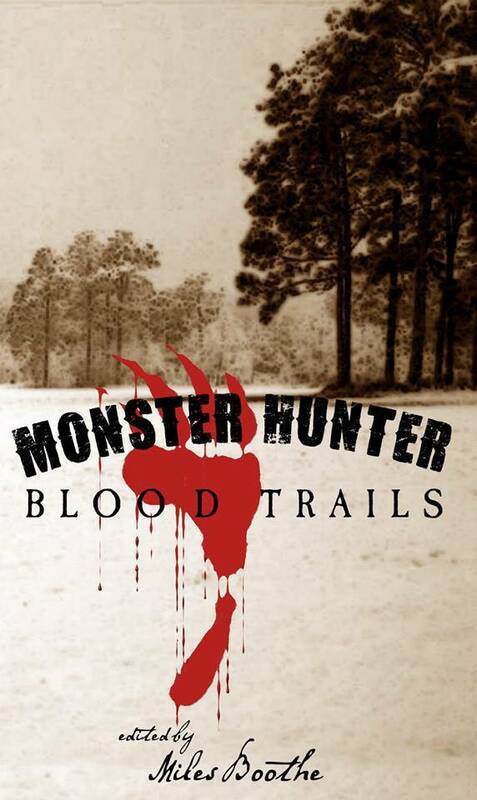 I just found out that another anthology with one of my stories in has just been published: Monster Hunter Blood Trails. My contribution was a vampire story, which was set in Aberystwyth in my mind, but I ended up changing the name slightly. “he hunter spreads a hand inside the beast’s track, shocked by the sheer enormity of the thing. Dusk settles through the forest but there is just enough light to make out the tiny red droplets along the edge of the print. An hour ago it had been a steady flow. The trail leads down into a valley the sun has already given up to shadow, and the moon won’t be up for hours. Under any other circumstances it would be wise to wait for the moonlight, but the warm trickle of the hunter’s own blood has not stopped and there is no time to wait. The hunt is on.